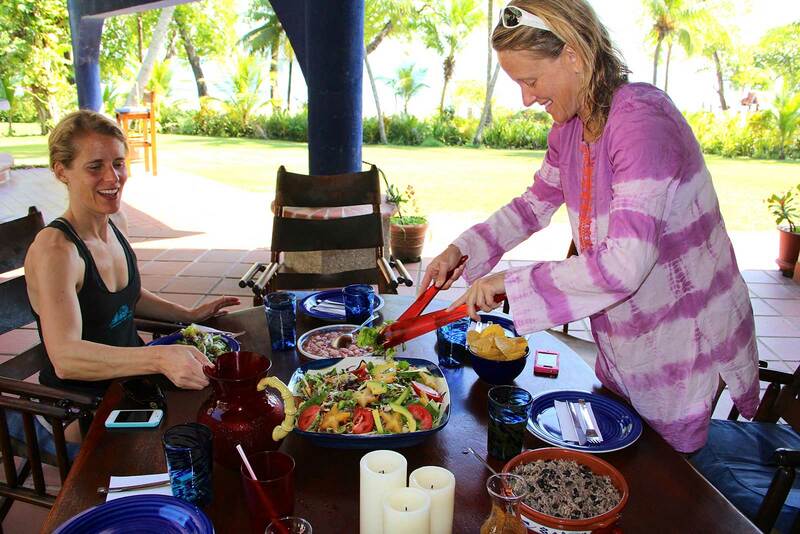 We embrace Pura Vida with local organic food. 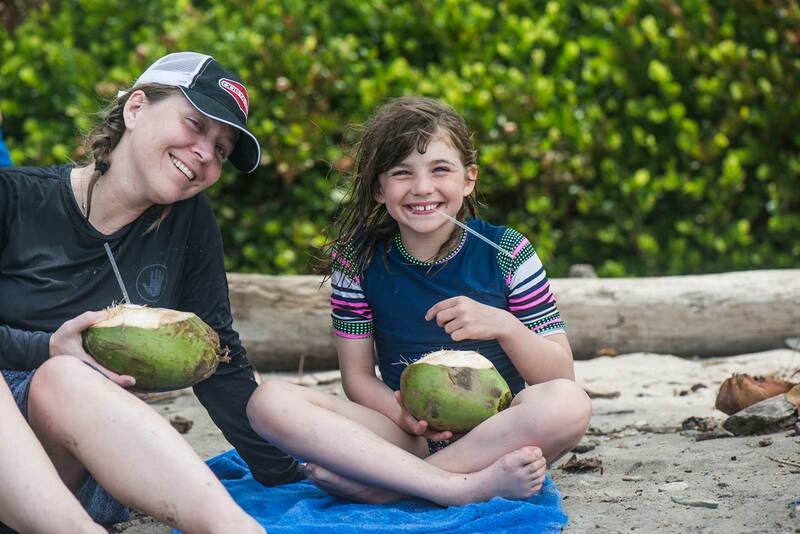 Breakfast, lunch, dinner, beach snacks, and happy hour at camp are all included in your stay. 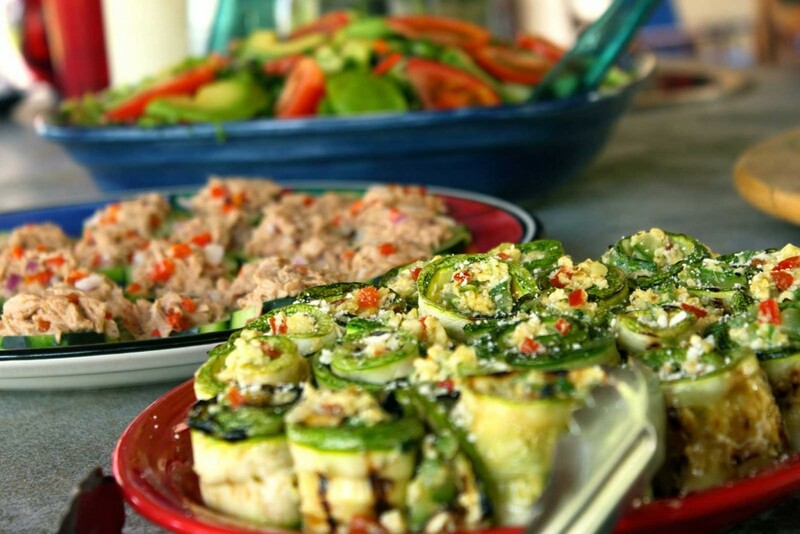 Fresh, healthy food is a big part of the surf experience at Peaks ‘n Swells. 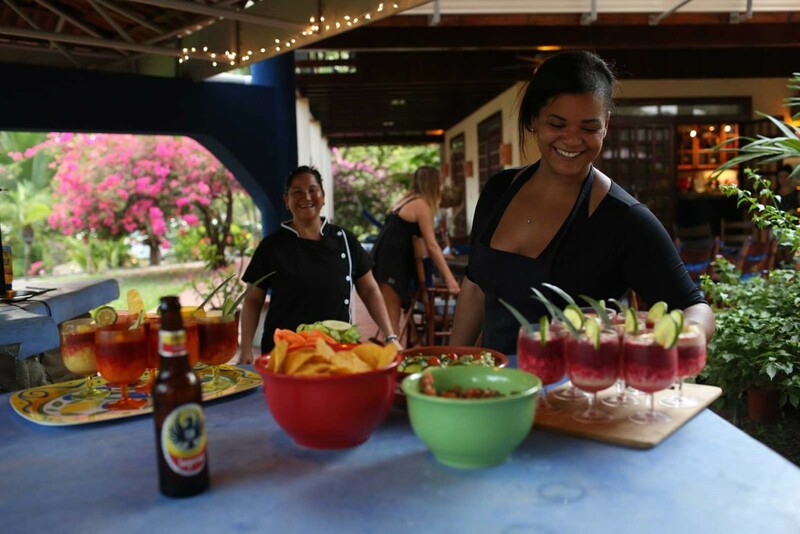 We embrace Pura Vida with local, organic food prepared by our chef and served family-style three times a day at camp. We use organic produce, free range eggs and chickens. We have farmers that come straight to the camp with their greens and produce. The fisherman delivers the fish the day we are serving fish and a farmer brings the chicken and eggs straight to us. On top of that we have an amazing chef who whips up meals that make everyone happy from the picky eater to the adventurous eater. Breakfast, lunch, dinner, beach snacks, and happy hour at camp are all included in your stay. Guests are on their own one evening during the week to try one of our fabulous local restaurants. We highly recommend Las Artistas, one of our favorites! We may also stop at a restaurant after a surf session for happy hour or lunch, depending on the break and time of day. Our villas are equipped with kitchens and there is a small grocery store in town, as well as a weekly organic farmer’s market if you choose to stay in. 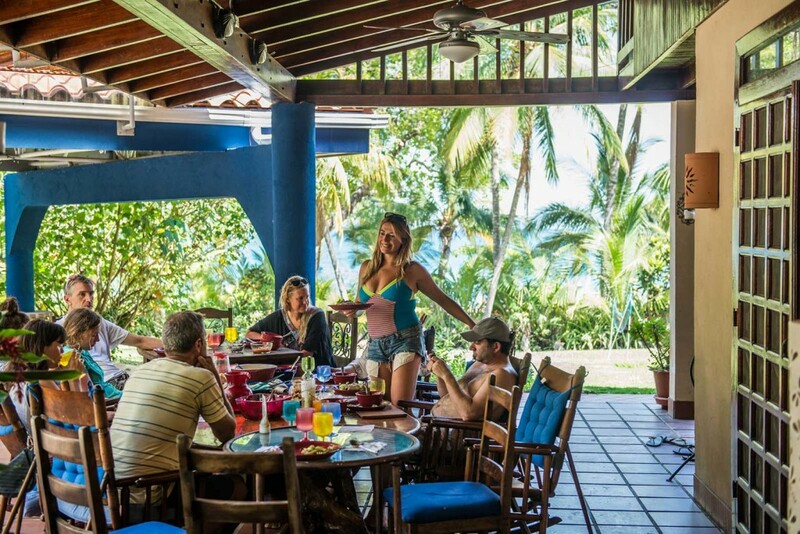 Our traditional Costa Rican breakfast prepared by Gitza every morning consists of amazing fresh fruit, toast, scrambled eggs, and gallo pinto as well as huevos rancheros, french toast, banana pancakes, or homemade granola and yogurt. Fresh baked muffins, homemade energy bars, nuts, coconut, pineapple, watermelon, and pipas (fresh picked, young coconuts) will be on hand at the beach every day to energize you! The perfect combination of healthy, delicious and sustaining- we know you are working hard out there! 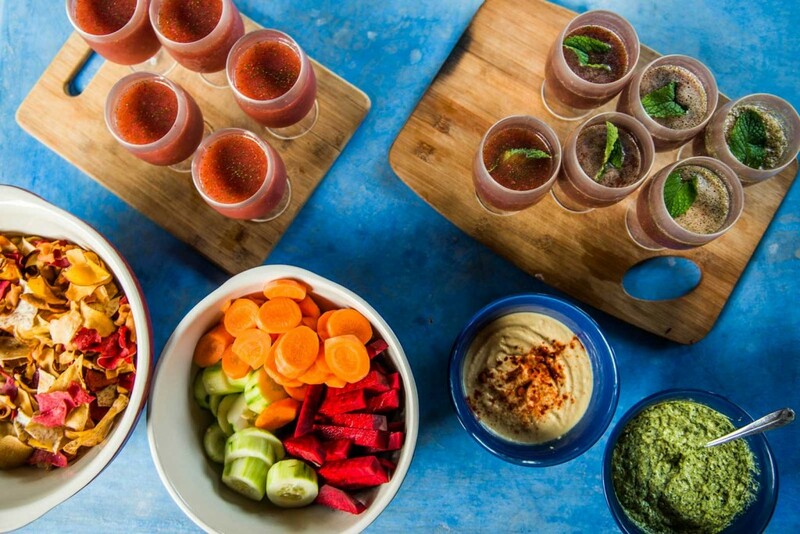 Fresh and exploding with color and flavor, lunch might consist of burritos, ceviche, gazpacho, caprese salad, grilled eggplant sandwiches, tortilla soup, or homemade empanadas straight out of the oven– a welcome sight as you arrive back from your surf session. For post lunch siestas, your hammock is only a few feet away…. Regroup with friends and family to watch a slideshow from the day and snack on homemade dips and hummus, fresh veggies, and chips, salsa and guacamole. 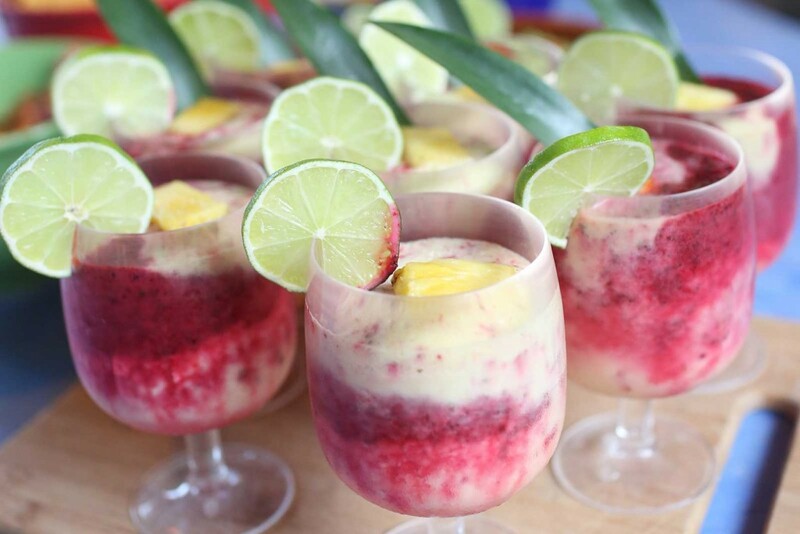 Our beer fridge is always stocked with local Imperial beer and wine, and we’re happy to bring out the blender for mango daiquiris and pina coladas! Our surf coach Sherry makes a mean mojito, which she insists is best enjoyed on the beach at sunset! 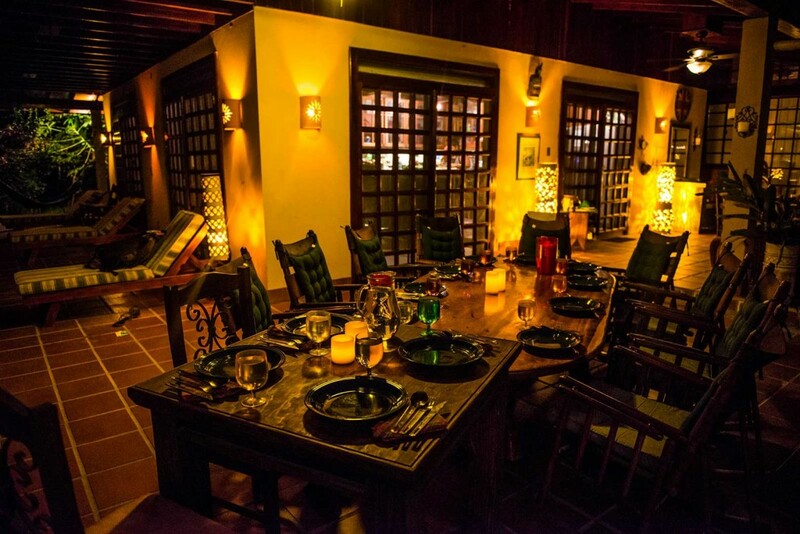 Served family style at the main villa, dinner is a time to share stories, talk about your day of surfing, and feast on incredibly nourishing and delicious food. Fresh fish, grilled meats, huge salads, and local dishes such as fish tacos and casados are typical of the dinners served at camp. We’re always amazed at the dishes our chef creates, from Passion fruit cheesecake to grilled fish with chipotle creme, dinner is always a highlight! We are happy to provide staples like pasta, rice, fruit salad, muffins, peanut butter & jelly, and smoothies served alongside every meal. In the spring, kids can help collect mangos on the property to make smoothies or just enjoy the ripe fruit straight from the tree. The fried plantains are always a hit too! 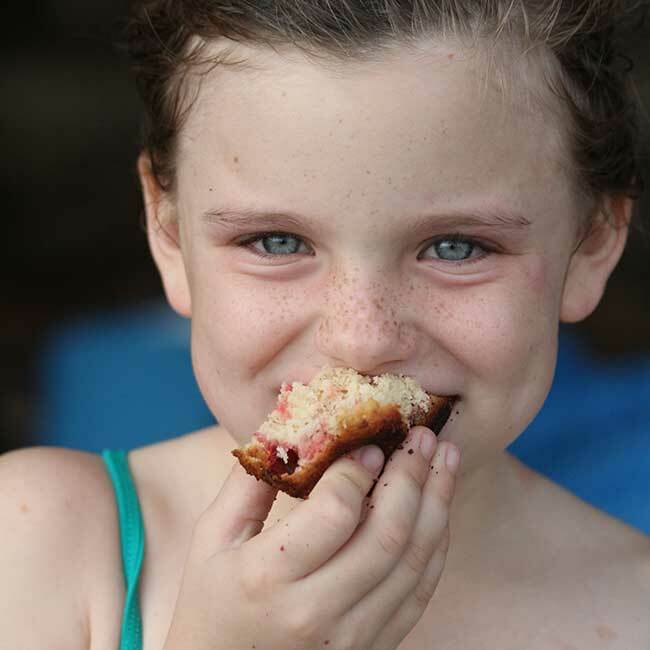 We are more than happy to accommodate any special dietary requests to make sure that your children are nourished and happy here at camp. Our chefs can customize your meals during the week to accommodate any special dietary needs. We are happy to provide vegetarian, gluten-free, vegan, raw, and/or paleo options for our guests.